As a homeowner, it can be difficult at times to determine when the time is right to have a brand new toilet installed. If you are having repairs time and again, you may want to think about having the professionals take a look to determine the best course of action. Trident Plumbing and Drain Cleaning is your answer when it comes to a toilet installation & repair service in Forbes Hill. All you have to do is give us a call and we can send someone out at your earliest convenience for an assessment. Do you have a clogged toilet? If so, this can be a hassle to deal with and a situation that can get messy if you are not careful. This happens whenever something blocks out water flow in your toilet, which usually happens from a non-soluble item being flushed. Our staff can come out to your home or business to address whatever clog issue you are having, big or small. Is it time that you install a new toilet in your bathroom? Another common service that we are contacted for is the replacement or upgrade of toilets within our customer’s homes or businesses. If you have any sort of damage or crack or you are noticing the need for constant repairs, it may be time that you think about a full replacement. Did you know that there are all sorts of toilets to choose from today that will help you to cut back on the amount of water that you are using? Our staff at Trident Plumbing and Drain Cleaning understand the latest models and we have the experience necessary to help you find the perfect new toilet installation to give you the most benefit. 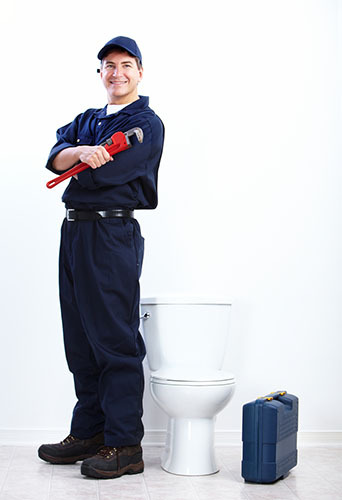 If you need a dependable toilet installation & repair service in Forbes Hill, trust Trident Plumbing & Drain Cleaning. Call us today at (425) 321-6043!